We are pleased you’re interested in learning about the many ways to leave a lasting legacy with the Servants of Mary. By including the Servants of Mary in your Planned giving, you can continue to support our ministries and missions, and gain financial advantages for yourself and heirs at the same time. On this page, we hope to provide you with information about giving options–their advantages and drawbacks–so you can maximize your philanthropic and personal benefits. However, it is important to understand every individual’s tax situation is unqiue and thus the information provided on these web pages is not intended to be a substitute for obtaining accounting, tax or financial advice from a professional tax or financial planner. Planned giving is a way for you to gain maximum personal benefit of charitable giving while allowing you to make a larger gift than you might have thought possible. It’s accomplished by taking advantage of incentives for charitable giving in government tax policies. Flexibility. Did you know you can change your mind about your gift at any time? Since the gift is not awarded until after your lifetime, you can change your mind at any time. Tax advantages. The full value of your estate should qualify for an estate tax charitable deduction. Would you like to benefit from the tax savings that result from supporting The Servants of Mary, yet not have to give up any assets that you’d like your family to receive someday? You can have it both ways with a charitable lead trust. How It Works: You turn over assets to a trust that pays The Servants of Mary income over a number of years, the duration of which you choose. The longer the duration, the higher the gift tax savings for you. 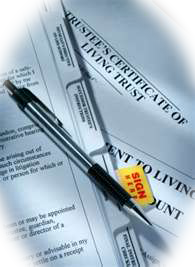 Then, when the term is up, the remaining trust assets go to your family or other beneficiaries you select. This is a great way to transfer property to family members (typically children and grandchildren) at a minimal tax cost. This type of charitable lead trust (also called a non-grantor, or family lead trust) is especially appealing to benefactors who are financially comfortable enough that they can pass up investment income on some assets. Would you prefer Fixed or Variable Payments? A charitable lead trust can make payments in one of two ways: 1) a charitable lead annuity trust pays a fixed amount each year to The Servants of Mary, or 2) a charitable lead unitrust pays a variable amount each year based on the value of the assets in the trust. With a unitrust, if the trust’s assets go up in value, the payments to our organization go up as well. Conversely, if the assets decrease in value, so do our payments. • You support an organization you love while also making sure your family is taken care of after your lifetime. • The gift qualifies for gift or estate tax savings based on the current value of the income paid to The Servants of Mary over the trust term. Ask your legal and tax advisors for more information about your possible tax savings. Contact the Development Director at 800-778-4000 with any questions about naming the Servants of Mary in your will or living trust. We are always happy to help, without obligation. 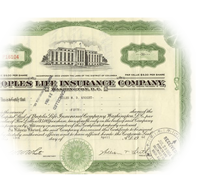 When you first took out a life insurance policy, you aimed to provide for the financial security of your family in the event you or your spouse died. Chances are good you now have far different needs. If you may own an insurance policy that has a substantial cash surrender value, it can be used for worthy philanthropic purposes. To make a gift with a paid-up policy, you earn a tax deduction that is equal to the cost of replacing the coverage with a comparable policy. The deduction cannot be greater than your net investment in the policy (total premiums paid less any dividends received). The charitable deduction is reduced by any outstanding balance of a policy loan, which may also be considered additional taxable income. 2. We might decide to accept an amount of paid-up insurance. In either case, you are relieved of the obligation to make further premium payments. 4. Naming the Servants of Mary as the residual beneficiary of an annuity settlement option available under some policies. There are no current tax benefits to this arrangement because you are not transferring the policy ownership; however, it provides a very generous gift with attractive tax benefits upon your death. For additional information on gifts of life insurance, please the Development Director at 800-778-4000. If you’ve owned your home or other real estate for a long time, it may have significantly increased in value. This appreciated value or capital gain is generally subject to federal and state taxes. It also represents a significant giving opportunity. Before you sell any real estate holdings, consider the tax benefits that may be available by donating the property to The Servants of Mary. 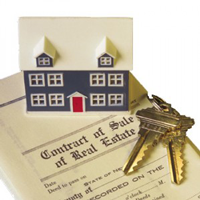 You can give the property outright, place it in trust or give it by will. If making an irrevocable gift of the property is not right for you, consider giving it to us in your Will. Because your Will is revocable (you can change your mind at any time during your life), you will not be able to take an income tax deduction, but the property will not be taxed in your estate. If you wish, you can give another person life use before unrestricted ownership passes to us. Or you can bequeath full title to an individual if that person survives you, with our organization as the contingent recipient. When an individual is given life use, it is best to make it clear that he or she is responsible for maintenance, insurance, repairs and improvements. 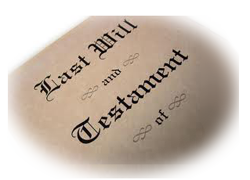 If you don’t need to make a new will now for any other reason, ask your attorney to draw a brief codicil for this purpose. •An outright gift offers valuable income and estate tax deductions, and tax on the capital gain may be avoided. •A gift in your Will generally assures that the value of the property will qualify for a charitable deduction for estate tax purposes. •Giving us outright use of the property now will free you from the responsibilities and costs of looking after it. Farm land tends to produce a low return on its market value. This is especially true of absentee-owned land, where the owner’s profit is often reduced by tenant shares and farm manager’s fees. Moreover, the profitability varies, depending on the weather and commodity markets, making this type of land suitable for a charitable gift in exchange for a life income arrangement. Undeveloped property, such as vacant land, has a cost of ownership (property taxes and insurance, for example) with no offsetting return. And a vacation home that is no longer used enough to justify the investment, costs and responsibilities may be suitable as a gift. Also, not all property automatically rises in value. So property that has lost value or depreciated may be worth as much today in terms of the charitable income tax deduction from an outright gift, as it is likely to be worth in the future. Or it may be used to fund a charitable remainder trust paying an income for life. And developed investment or commercial property may provide significant capital gains tax savings when used to make a gift and avoid potential depreciation recapture as well. It is also important to understand that, while The Servants of Mary appreciates the generosity of all its donors, the receipt of any gift of real property must be individually assessed by The Servants of Mary to ensure that the potential gift is suitable to advancing the organization’s religious mission and ministries. For more information on the suitability of, or procedures for, making a gift of real property to The Servants of Mary, please contact the Development Director at 800-778-4000. Gifts of cash are the most simple way to make a major gift to The Servants of Mary. If you itemize deductions on your tax return, the initial benefit of making a cash gift today is an income tax deduction for the full value of the gift, in most cases. Any reduction in income tax lowers your net cost of the gift in return. And, if you are subject to state and/or local income taxes in addition to federal taxes, the combined marginal rate (after the federal deduction for those income taxes paid) can be taken into account in determining the gift’s net cost. If you don’t normally itemize deductions, you may want to consider it for any tax year in which you make a sizable charitable donation. Many people who have few deductions to itemize try to vary their giving levels in alternating years with lower giving in years where they take the standard deduction, and more when they can itemize. Remember, if you expect your estate to be subject to estate tax upon your death, you may receive a federal gift tax charitable deduction for the value of gifts of cash made during your lifetime. Since this value also is subtracted from the value of your future estate, it can completely eliminate your federal estate tax exposure. Remember, this savings reduces the net cost of your charitable gifts. The net cost of a $1,000 cash gift is $720 if your combined state and federal marginal income tax rate of 28%. It’s calculated by taking the percentage amount of your tax bracket multiplied by the amount of the gift, then subtracted from the total amount of the gift. For additional information on gifts of cash, please call 800-778-4000. 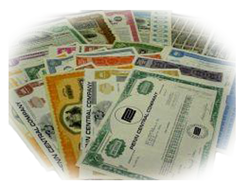 A portfolio of publicly-traded stocks and bonds is usually one of the most valuable assets in your possession. It’s one that often carries substantial appreciation in value. The downside to assets that have increased in value over the years is the potential tax liability levied against your capital gain from securities. With careful planning, you may be able to reduce — or even eliminate — federal capital gains tax liability. As stock and bond values increase, the taxes you owe on the capital gain generally also increases. But when you donate publicly traded stocks held long term (owned for more than one year) to The Servants of Mary, you generally avoid all capital gains tax liability associated with the appreciated value of the stock. Better yet, you may take the full fair market value of the stock gift as a charitable deduction on your income taxes. The maximum deduction during any given tax year is 30 percent of your adjusted gross income. Keep in mind, if you are unable to take the entire deduction in one year, you may carry the excess deduction forward for up to five additional years. Here are some things to consider when donating securities to The Servants of Mary. 1. If you own shares you wish to keep in your portfolio, giving us the stock and using cash to buy the same stock through your broker generally provides the same income tax deduction with a new, higher basis in the newly acquired stock. 2. When appreciated property is held long term (more than one year), is used for a charitable gift and the donor would have otherwise sold the stocks for market or other reasons, two tax savings may result. First, the donor may earn a charitable deduction for the full fair market value rather than the original cost. Second, the donor may be able to eliminate the capital gains tax associated with the appreciated stock value. 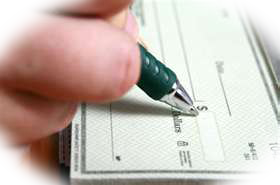 The income tax deduction for gifts of long-term capital gain property to qualified public charities is limited to 30 percent of the donor’s adjusted gross income in a particular year, as opposed to the 50 percent annual limitation for cash gifts to public charities. For most donors, this limitation is not an issue and the total value of the gift will constitute a tax deduction since any unused deduction can be carried forward for five years. How Much of Your Estate Will Go to Taxes? 1. The difference between the top federal tax rate applied to long-term gain and the highest tax rates applied to ordinary income is currently significant. For taxpayers who fall within the higher tax brackets, long-term capital gains tax is generally more attractive than ordinary income tax. 2. The current tax rate for federal estate and gift taxes. 3. The tax rate on generation-skipping transfers of assets. Should you pay capital gains tax now instead of a potentially higher gift or estate tax later? Income tax charitable deductions have become increasingly significant in reducing taxable income, particularly since tax reform has eliminated many other tax deductions. You give us 1,000 shares of publicly traded stock he has held for more than one year. Their fair market value (the average of high and low trades for the day of the gift multiplied by the number of shares) is $12,000; their original cost, $5,000. Your marginal federal income tax rate is 28 percent, and you are not subject to state or local income taxes. The $4,410 of total taxes ($7,000 long term capital gain x 15 percent = $1,050 capital gains tax added to $12,000 x 28 percent = $3,360 income tax) avoided that the government “contributed” to the gift transaction nearly equals your net cost. Best of all, you made a gift of $12,000 to your favorite charitable organization. On the other hand, if you have stock losses, sell the stock yourself to realize the loss and take the allowable deduction for tax purposes. This generates a charitable deduction by donating the cash proceeds of the sale to The Servants of Mary. For additional information on gifts of stocks and bonds, please call 800-778-4000. Contact James Foerster with any questions about naming the Servants of Mary in your will or living trust. We’re happy to help, without obligation.